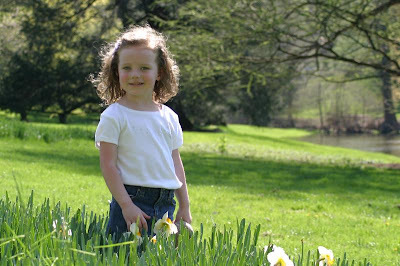 Today, we went to Longwood Gardens to take some photos of the girls. Even though it was 93 degrees out, we had a fabulous time. We NEVER get bored with looking at Longwood's Beautiful flowers and gardens! The girls just stroll along taking in all of God's beautiful creation. Matt and I truly enjoy spending time with Michaela and Madelin! We are so amazed and in love with them. How I LOVE these amazing photos of your beautiful girls. Michaela looks very grown up and Madelin is catching right up. What an incredible day your family had together. It is heart warming to see young families so in-love with their children, just what life is truly all about. PS~ 93 degrees, yikes, I would not have enjoyed that in April! Love Delaware but not that heat! PS PS~ Look for a box next week with a little something I made for the girls! These shots are AMAZING! Did you use your camera? They look professional. I was going to take Ben for his firt b-day professional shots but maybe I should just join Longwood and take them there! Instant backgrounds of COLOR! The girls look positively GORGEOUS!!!!!!!!!! Longwood Gardens looks like such a beautiful place but the most beautiful thing in the pictures, BY FAR, are Madelin and Michaela! I love your beautiful girls! Oh my, these photos are beautiful! Your girls are just darling!!! You guys have such a sweet family. I really enjoy watching you grow up. Our family sure produces wonderful grandchildren. What beautiful pictures. And Madelines red hair just added color. Both girls are so pretty, like their Mom. Happy Mothers Day Melissa.